3, T Choose a number greater than 0 and a color. Target opponent reveals his or her hand. 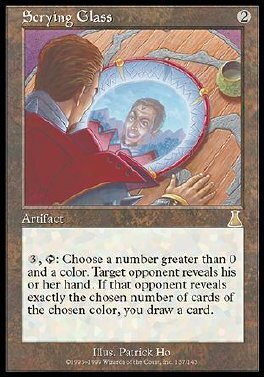 If that opponent reveals exactly the chosen number of cards of the chosen color, you draw a card.